Teeth that are crowded or are misaligned are said to be maloccluded. Many people have at least some degree of malocclusion. Moderate to severe malocclusions may require orthodontic treatments to reduce the risk of tooth decay and gum disease and to relieve pressure on the TMJ, or Temporomandibular joint. Some people with minor to moderate misalignments may opt for orthodontic treatments to improve the comfort and aesthetics of their smiles. Invisalign aligners are a popular alternative to traditional metal braces. Many people prefer these clear plastic aligners for cosmetic reasons and because they are frequently more comfortable and easier to maintain. 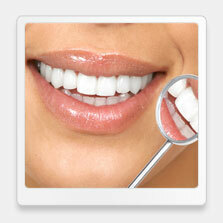 However, not everyone and every type of malocclusion can be treated using Invisalign. Invisalign can be used to treat a variety of minor and moderate malocclusions, such as overcrowded teeth, overbites, under bites, cross bites and minor gaps. • You have healthy teeth and gums. • You are an adult or you are a teen whose second set of permanent molars has come in. • You are not a smoker. • You are committed to the procedure: The aligners must be worn at least 20 to 22 hours a day to achieve maximum benefits. • You desire a discreet, comfortable orthodontic solution to your malocclusion. If you are interested in learning more about your orthodontic treatment options, contact our dental office today to schedule a consultation with our West Hollywood dentist.